Manuel Pellegrini has denied West Ham are interested in Bournemouth striker Callum Wilson in the event Marko Arnautovic leaves the club. 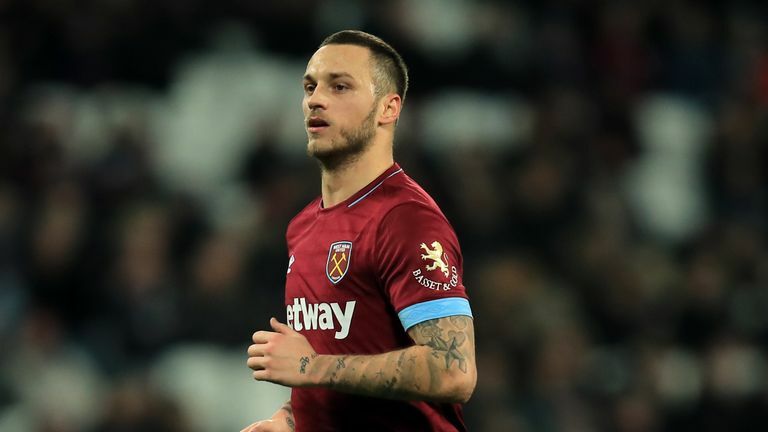 Chinese Super League sides Guangzhou Evergrande and Shanghai SIPG are interested in signing Arnautovic, who only joined West Ham last summer. The Austria international has let it be known it is his desire to make the move to China this month but Pellegrini will only sanction the deal if he can bring in a replacement. West Ham have been linked with Celta Vigo's Maxi Gomez and Wilson as potential replacements for Arnautovic, but Pellegrini, whose team faces Bournemouth on Saturday, insists the Hammers will not be making a move for the England striker. "He's a very good striker but the rumours we want him are not true," Pellegrini said of Wilson. "We have our players. We have Javier Hernandez, we have Lucas Perez, we have Andy Carroll, we have Marko Arnautovic in our squad. I'm happy with all these players. "If we don't have Arnautovic? Things can happen, when they happen we'll see."